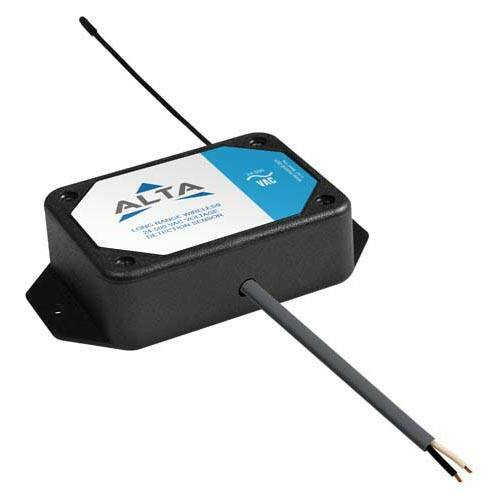 The AC Voltage Detection Sensor notifies of the presence or absence of electricity. It is intended for use on devices using supply power from 24 - 500 VAC. Not intended for voltages higher than 500 VAC and also not intended for use with DC sources. 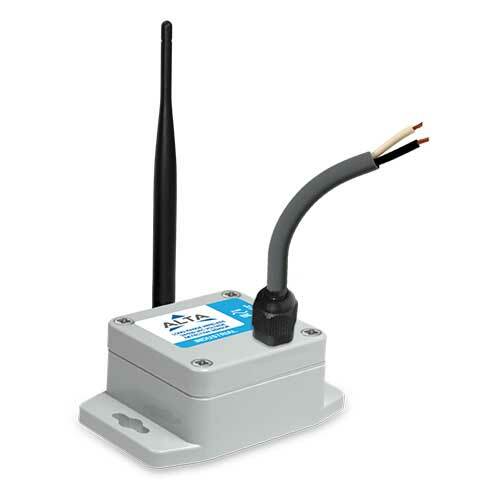 Perfect for HVAC systems, sprinkler systems, sump pumps and any other type of electrical appliance monitoring. This sensor triggers on the state change from presence to absence of voltage and vice versa. 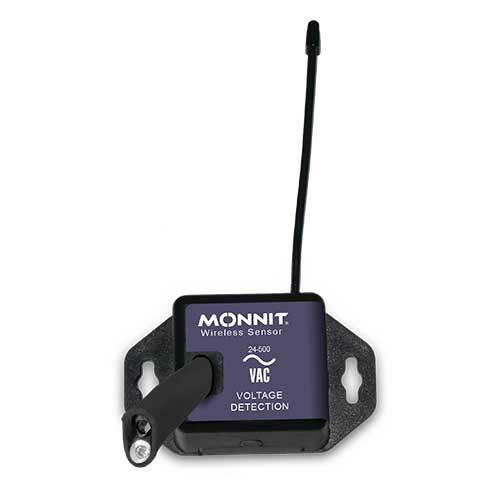 The data is displayed as either "No Voltage" or "Voltage Detected". 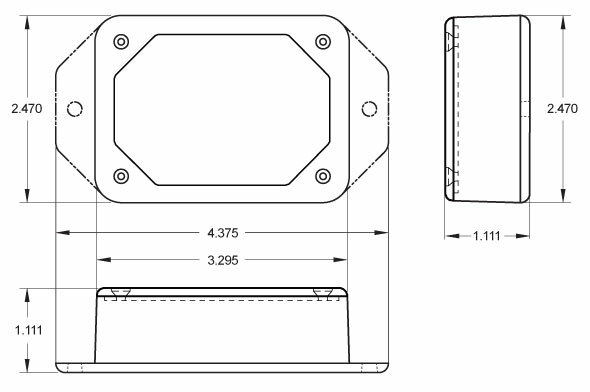 The standard version of this sensor is powered by two replaceable 1.5 V AA sized batteries (included with purchase). 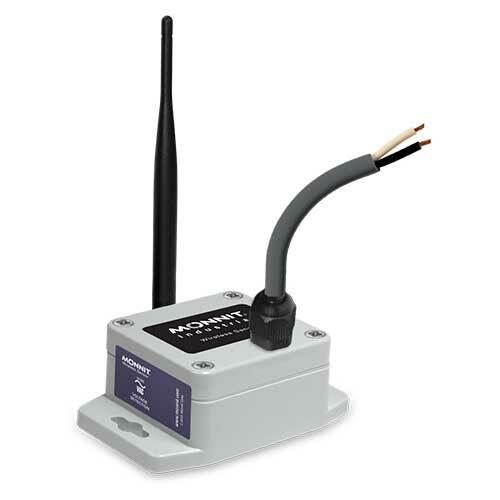 This sensor is also available with a line power option. 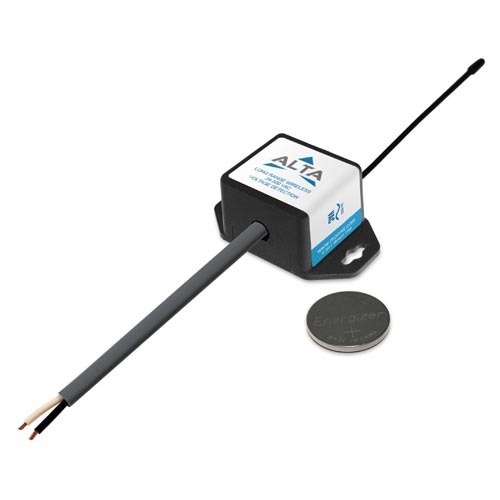 The line powered version of this sensor has a barrel power connector allowing it to be powered by a standard 3.0 - 3.6 V power supply (Included with Line Power option upgrade). The line powered version also uses two standard 1.5 V AA batteries as backup for uninterrupted operation in the event of line power outage. Power options must be selected at time of purchase, as the internal hardware of the sensor must be changed to support the selected power requirements. Interfaces with electrical devices or power lines from 24 - 500 VAC. 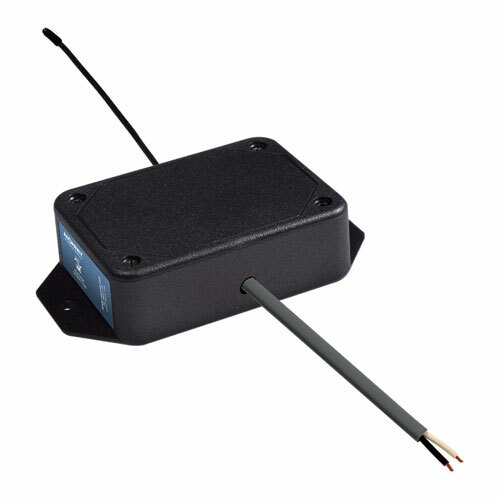 Max sensor input voltage up to 600 VAC.